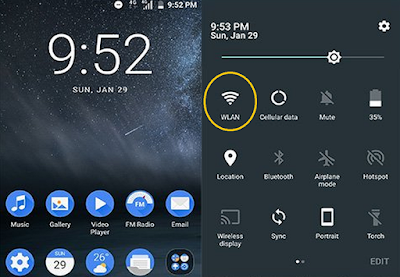 How to Settings Nokia 6 Wi-Fi - Learn how to settinggs Nokia 6 Wi-Fi, create wireless connections and browse the web while keeping your data costs down. Customise Nokia 6 settings for functions and apps. You can make your device more personalised by configuring various setting options. Setup Nokia 6 WiFi connection is generally faster and less expensive than using a mobile data connections. If your network service provider charges you on a pay-as-you-use basis, you may want to change the WLAN and mobile data settings to reduce your data costs. You can use different settings for roaming and at home. Use encryption to increase the security of your WLAN connection. Using encryption reduces the risk of others accessing your data. Your Nokia 6 WLAN connection is active when is shown on the status bar at the top of the screen. If you want to track locations when satellite signals are not available, for example when you're indoors or between tall buildings, switch WLAN on to improve positioning accuracy. Using WLAN may be restricted in some countries. For example, in the EU, you are only allowed to use 5150–5350 MHz WLAN indoors, and in the USA and Canada, you are only allowed to use 5.15–5.25 GHz WLAN indoors. For more info, contact your local authorities. Tap Settings > Airplane & more, and switch Cellular data on. Tap Settings > Cellular networks, and switch Data roaming on. Connecting to the internet when roaming, especially when abroad, can raise data costs substantially. To follow your data usage, tap Settings > Data usage. Tap Settings > Tethering & portable hotspot. Switch the Portable WLAN hotspot on to share your mobile data connection over WLAN, or Bluetooth tethering to use Bluetooth. The other device uses data from your data plan, which may result in data traffic costs. For info on availability and costs, contact your network service provider. Tips and tricks efficiently data plan: If you’re worried about your data usage costs, your phone helps you prevent some apps from sending or receiving data when running in the background. Catch up on the news, and visit your favourite websites. You can use Browser in your phone to view web pages on the internet. Your browser can also help warn you against security threats. No need for a computer – you can easily browse the internet on your phone. If your network service provider doesn't charge you a fixed fee for data transfer, to save on data costs, use a WLAN network to connect to the internet. In browser, tap on the top right > +. In browser, tap on the top right, and the tab you want. In browser, tap on the top right, and tap X on the tab you want to close. Explore the web and the outside world with search function. You can use the keyboard to write your search words. In browser, tap the search bar. Write your search word in the search box, and tap v. You can also select a search word from the proposed matches. 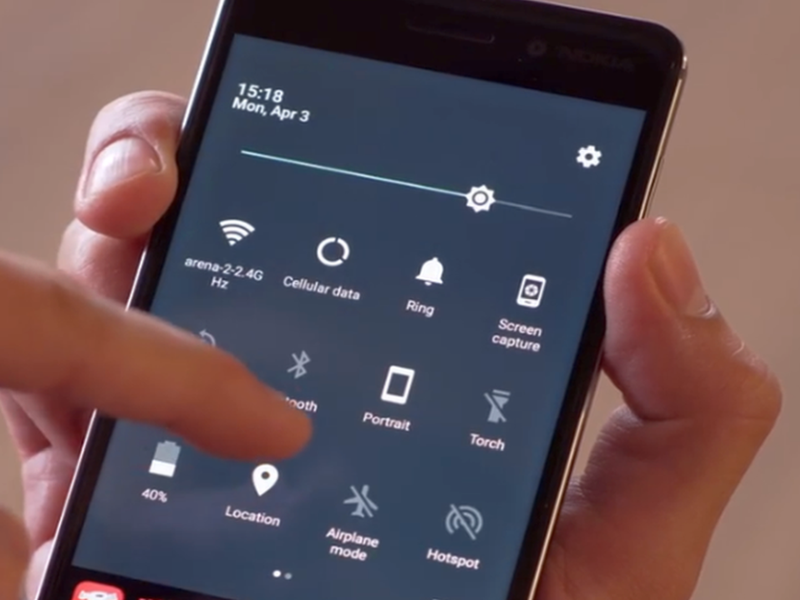 How to close Nokia 6 internet connections? 1. Tap Settings > WLAN. 2. Switch WLAN to Off. Tap Settings > Airplane & more, and switch Airplane mode on.